First thing in the morning, I’m doing well if I remember to stretch (and that I do whilst still horizontal). However, I was noticing that my body was feeling particularly stiff in these dark, early hours of the day and so I asked Victoria Auton – a professional (be prepared to feel like an under-achiever) yoga and aerial yoga teacher; aromatherapist; reflexologist; deep tissue, thai and holistic masseuse; meditation instructor and hypnotherapist (and mother-of-two) – for some tips. “In the mornings, especially if we’re very tired, we tend to feel tighter in our muscles and stiffer in our joints. Therefore it is not always appropriate or possible for people to perform a strong sun salutation (traditional yoga sequence). It would be more beneficial and safer to wake the body up gently and mindfully. Sit as far back onto the heels as possible with the torso towards the ground and the arms stretched out in front. Knees can be separated widely if there is tightness in the hips. Blanket(s) can be placed under knees or ankles for support. In this pose focus on ten deep breaths allowing your outward breath to be longer than your inward breath and perhaps making a gentle sighing sound as you breath. Come up onto all fours for Cat Pose. Start to bring movement into the spine by lifting the tail bone towards the sky whilst at the same time looking up. This is done on a deep in breath then as you breath out, looking down and tucking the tail bone towards the ground and arching your spine. This can be repeated five to ten times. Start on all fours. Tuck your toes underneath the balls of your feet, stretch the arms out in front with the palms of your hands spread widely. Lift your knees off the ground whilst lifting your tailbone upwards. Knees can stay bent if hamstrings are tight. Encourage the weight of your body back onto your feet rather than your hands whilst lengthening your spine. Take five deep breaths in this pose. 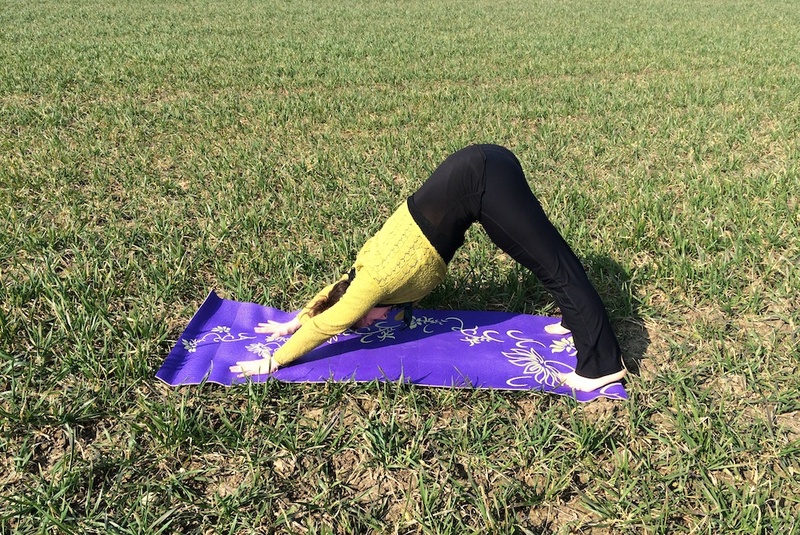 Whilst in downward facing dog, bend your knees and gently walk forwards to come to a Standing Forward Bend Pose. Keep your knees slightly bent and let your upper body relax downwards towards your knees. Breath deeply for five to ten breaths. Gently, with knees bent, roll up through the spine to Mountain Pose. Stand with feet hip width apart, spreading the toes and soles of the feet and becoming aware of the contact with the ground. Knees can be slightly bent, shoulders relaxed and spine lifting tall. With your hands in prayer at the heart centre, breath deeply into the chest. 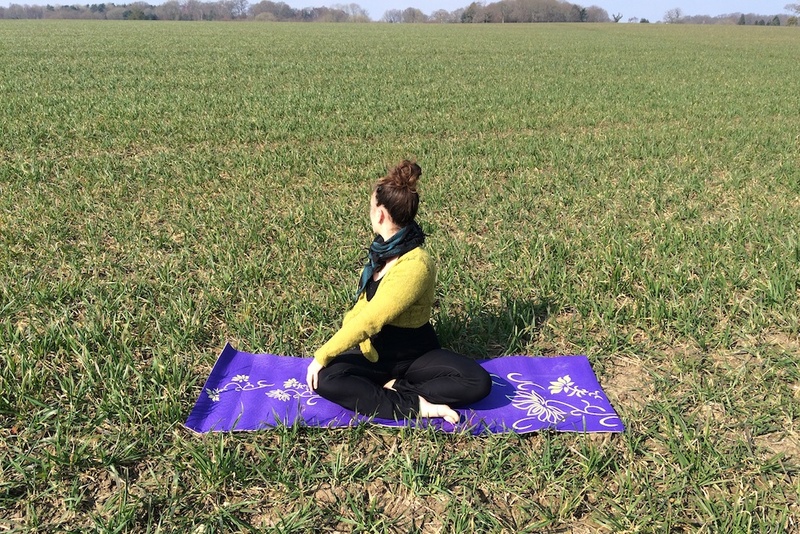 Come gently down to sitting crossed legged to finish with a Spinal Twist. Bring your left hand onto your right knee while your right hand is resting on the floor behind your back. Look over your right shoulder. Hold for five deep breaths then repeat on the other side. Finish with a few moments of stillness and meditation. Connecting to your breathing not only gives you the opportunity to be in the present moment, but also enables us to watch each gentle breath enter and exit the body. Each deep breath enriches us with oxygen, helping the flow of blood to muscles, tissues cells and bones, whilst aiding clarity of thought and a sense of calm and focus at the start of your day. 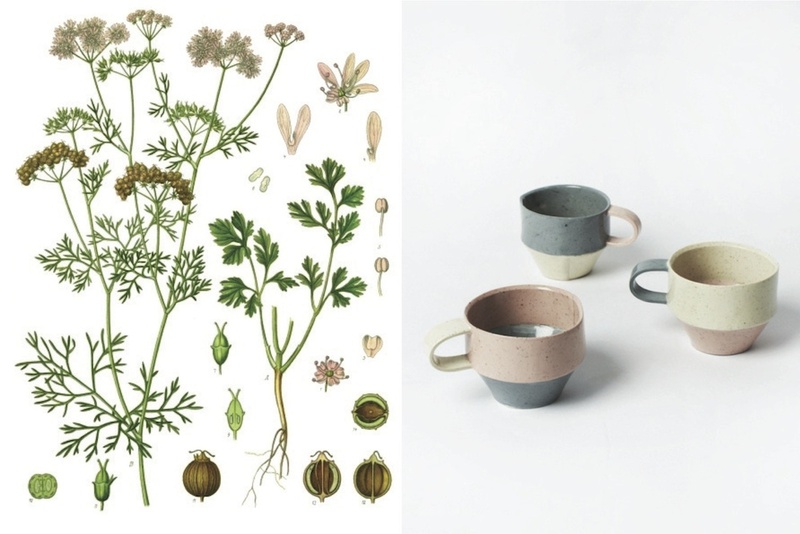 Have a read of the first interview in the series – about herbal drinks for energy. Posted in Mornings and tagged exercise, health, morning, wellbeing, yoga. Bookmark the permalink.